This volume provides a comprehensive examination of key issues regarding global communication, focusing particularly on international news and strategic communication. It addresses those news factors that influence the newsworthiness of international events, providing a synthesis of both theoretical and practical studies that highlight the complicated nature of the international news selection process. It also deals with international news coverage, presenting research on the cross-national and cross-cultural nature of media coverage of global events, in the interdisciplinary context of research on political communication, war coverage, new technologies and online communication. 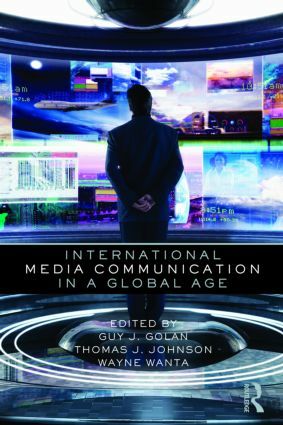 The work concludes with a focus on global strategic communications: in the age of globalization, global economies and cross-national media ownership, chapters here provide readers with some of the most up-to-date research on international advertising, public relations and other key issues in international communications. With contributions from many of the leading scholars in the field of international media communication research, this collection presents a valuable resource for advancing knowledge and understanding of the complicated international communication phenomenon. It will be of value to upper-level undergraduates and graduate students in mass media and communication programs, and to scholars whose research focuses on global communication research.